In the realm of thought-provoking writing about the short and long-term consequences of childhood adversity over the last month, these three articles stood out. Perhaps you might find them of interest, too. 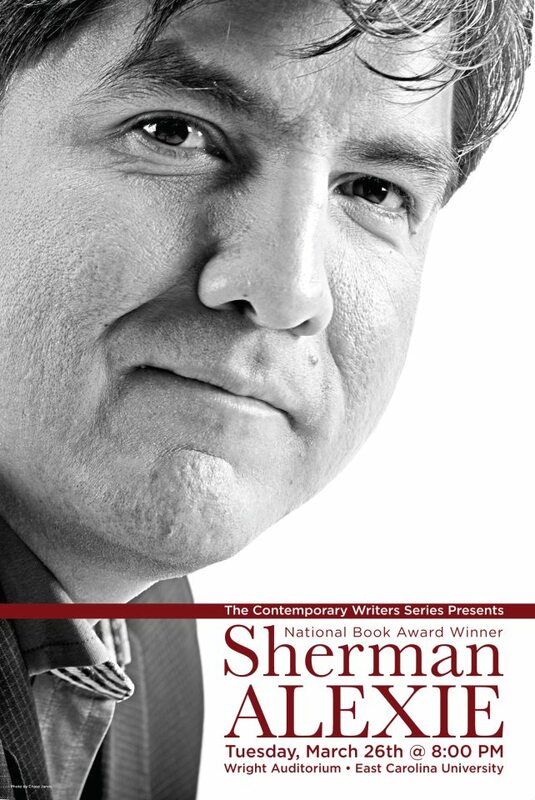 When poet, writer and filmmaker Sherman Alexie talked with Atlantic.com’s Joe Fassler, he said that he almost didn’t become a writer (and the world would be without The Lone Ranger and Tonto Fistfight in Heaven). But when he read this line in “Elegy for the Forgotten Oldsmobile”, a poem by Adrian C. Louis — “Oh, uncle Adrian, I’m in the reservation of my mind” — he immediately decided to become a poet. addresses this lack of innovation, the Native imagination being shackled and curtailed, as well as the failure to celebrate the innovations that have happened. The line also it calls to mind the way we tend to revisit our prisons. And we always go back. This is not only true for reservation Indians, of course. I have white friends who grew up very comfortably, but who hate their families, and yet they go back everything thanksgiving and Christmas. Every year, they’re ruined until February. I’m always telling them, “You know, you don’t have to go. You can come to my house.” Why are they addicted to being demeaned and devalued by the people who are supposed to love them? So you can see the broader applicability: I’m in the suburb of my mind.I’m in the farm town of my mind. I’m in the childhood bedroom of my mind. Army wife Melissa Bourgeois hit her breaking point five years ago when she was living at a U.S. military base in Vicenza, Italy, with her husband, Eric, an infantryman. Eric was just back from a harrowing second deployment to Afghanistan marked by frequent firefights. Filled with an uncontrollable rage, he spent his nights self-medicating at bars with his war buddies. Eric’s anger toward his family had become explosive, and he regularly punched doors, furniture and even a concrete wall that left his hand injured. Melissa, 25 at the time, with their two small children, felt isolated in a new country where she barely spoke the language. She needed to talk to someone about her situation, but she said each time she sought mental-health care on the base, she was given Valium and sent away. To understand America’s epidemic of over-incarceration, it helps to look to countries that don’t having our problem. In Germany and the Netherlands, for example, incarceration rates per capita are nearly 90 percent lower than in the U.S.: 79 per 100,000 residents in Germany and 82 per 100,000 residents in the Netherlands, compared to 716 per 100,000 residents in the United States. 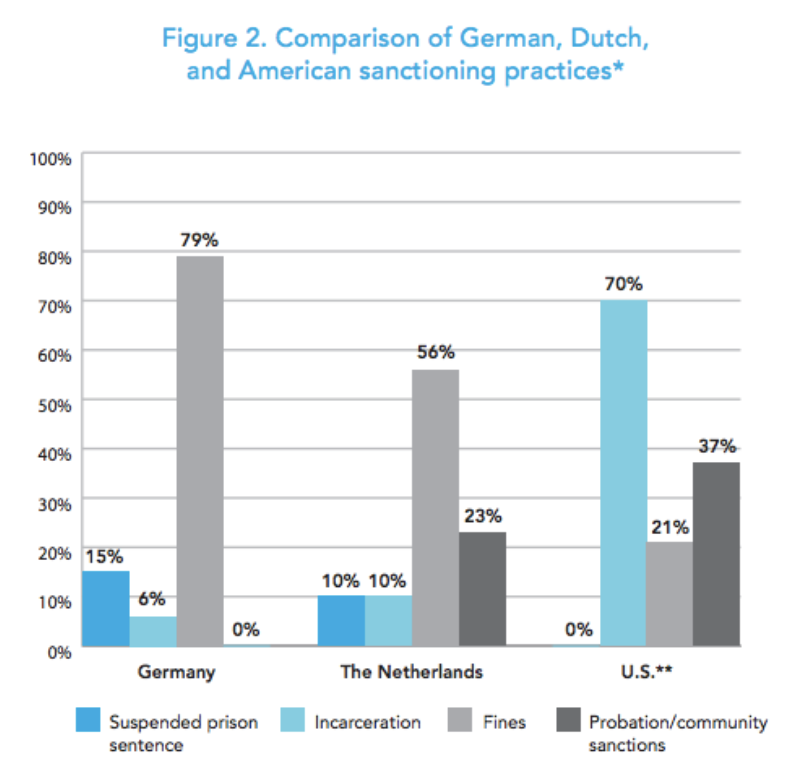 Because both Germany and the Netherlands end up incarcerating only a small percentage of offenders, they’re actually able to enroll prisoners in rehabilitation programs, which increases their changes of not returning to crime. “Conditions of confinement,” says Vera, “are less punitive and more goal-oriented.” They also generally don’t include people with mental illness, while American prisons are chock full of people who need help more than punishment.